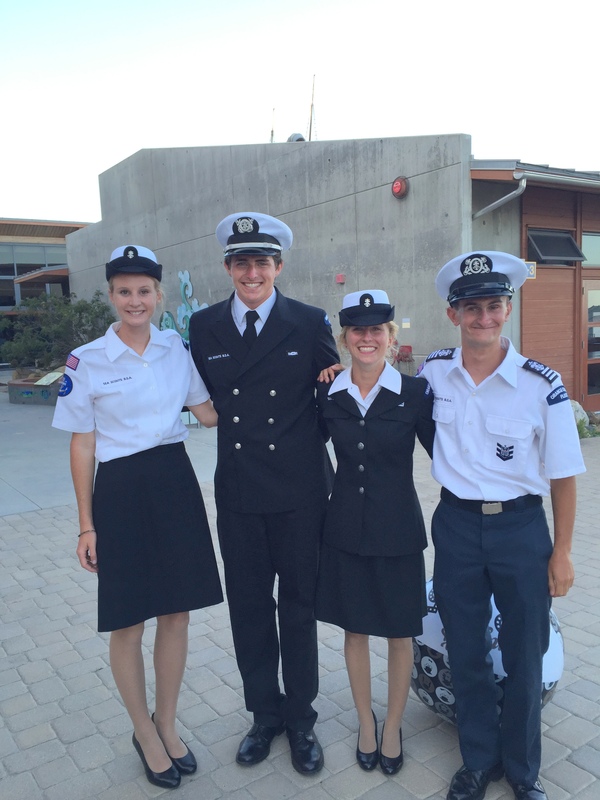 Dana Point Mariners 936 Sea Scouts, Kyle Baldovin, Sofia Maranto, Helen Payne and James Talay, are recent recipients of Sea Scouting’s Quartermaster Award, having worked their way through the rank requirements of skills in seamanship, held leadership roles within the ship, demonstrated a dedication to community and ability to direct others. They planned, organized and implemented their service projects. Baldovin’s venture provided a picnic area for visitors of the Marine Mammal Rescue Center in Laguna Beach. Maranto organized a Spanish language book drive to benefit students of Las Palmas Elementary School. Payne’s team built a buddy bench for Orroyo Vista Elementary School, and Talay organized materials and a team to rejuvenate a community park in Mission Viejo. All four will attend college this fall pursuing degrees in maritime, environmental and biological sciences. The Quartermaster Award stands for excellence, and results from a young adult’s determination to reach goals they have set and achieved in spite of the many challenges along the way. To attain this rank a scout must work through a multitude of requirements demonstrating an in depth knowledge of maritime skills and hold leadership positions within the ship. Quartermaster designation also requires an extensive project that demonstrates leadership of other scouts and a commitment to community.